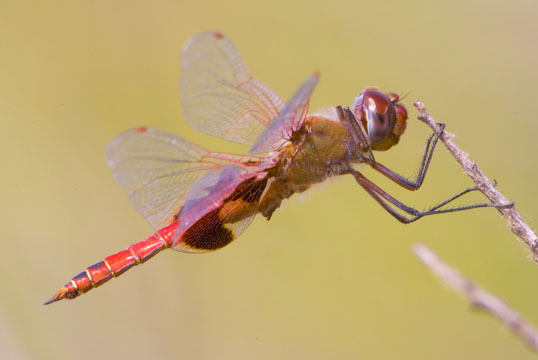 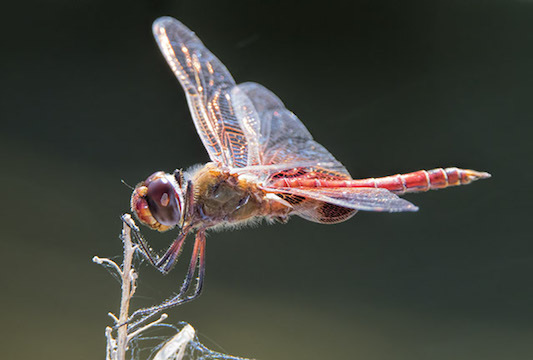 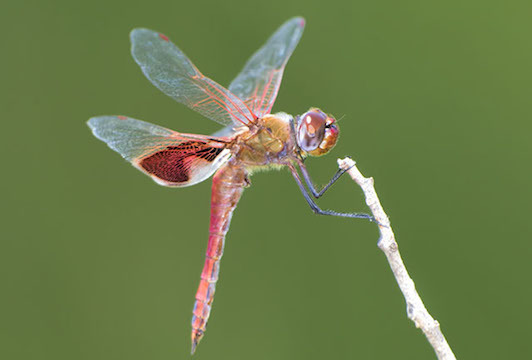 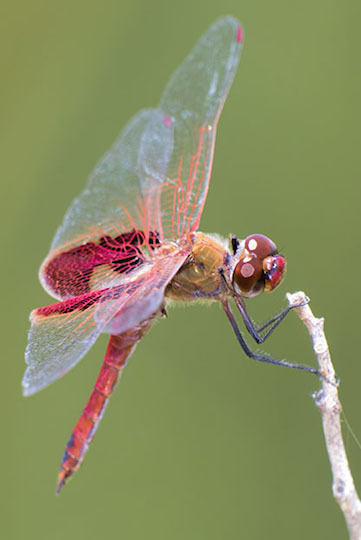 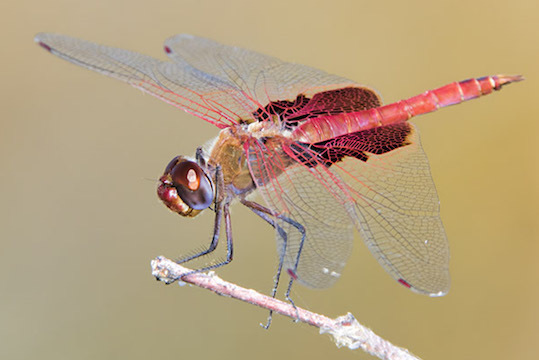 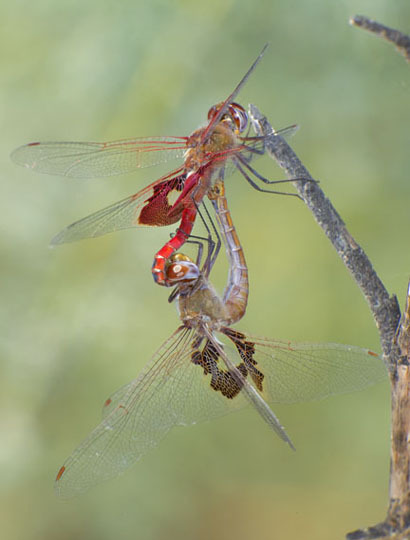 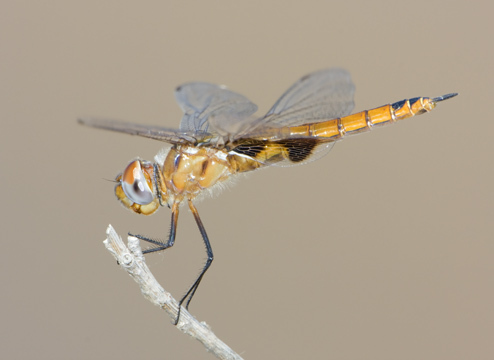 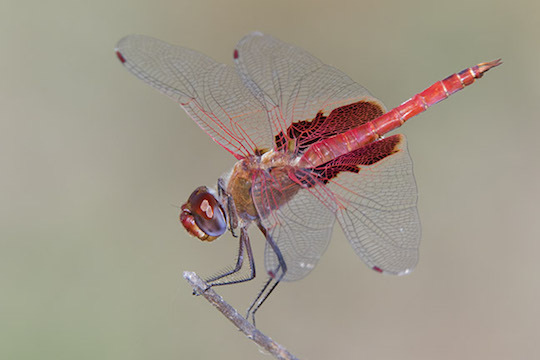 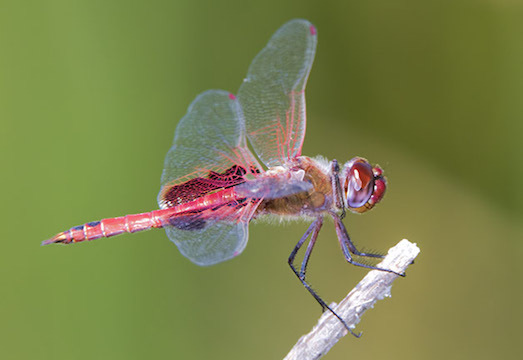 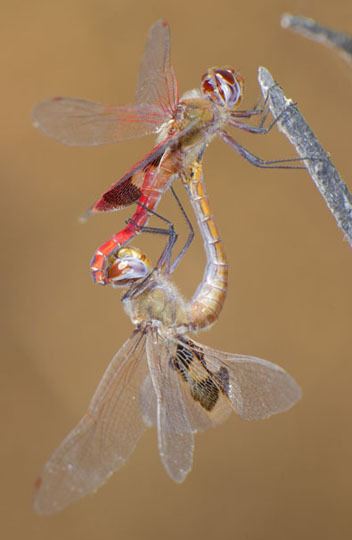 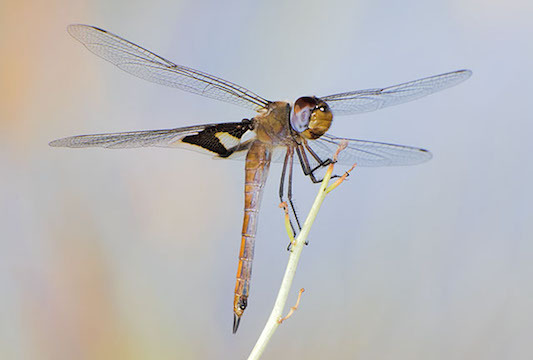 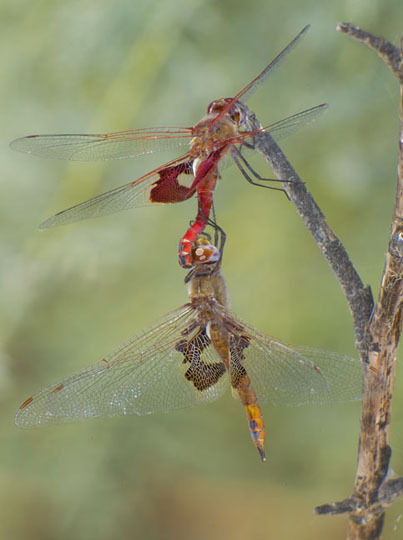 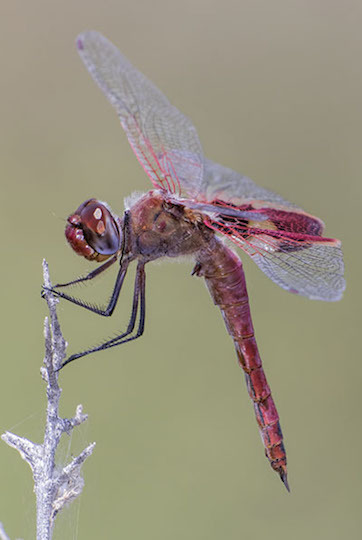 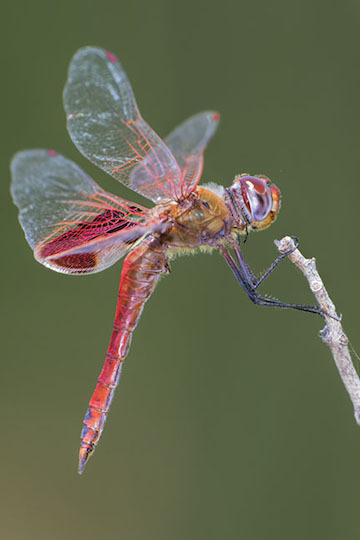 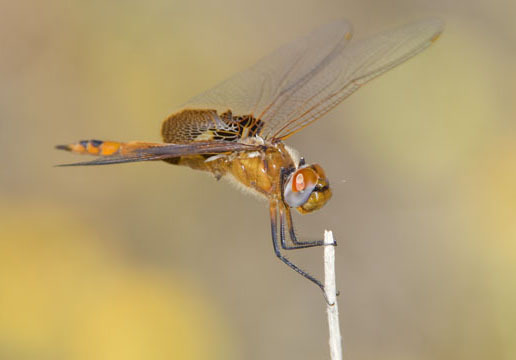 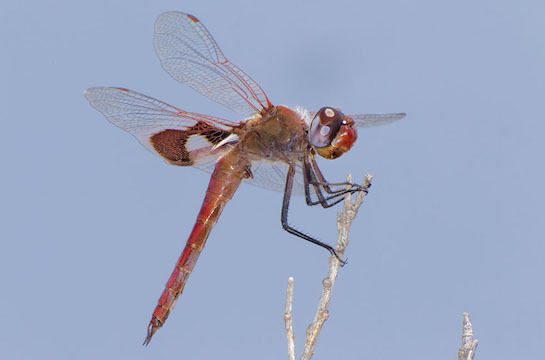 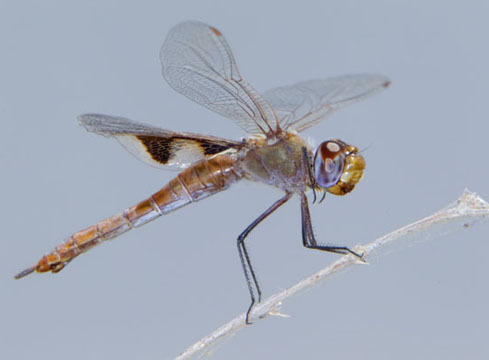 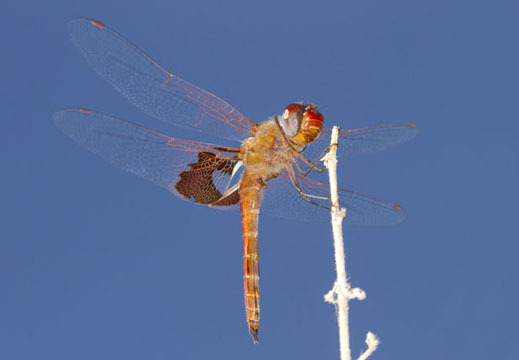 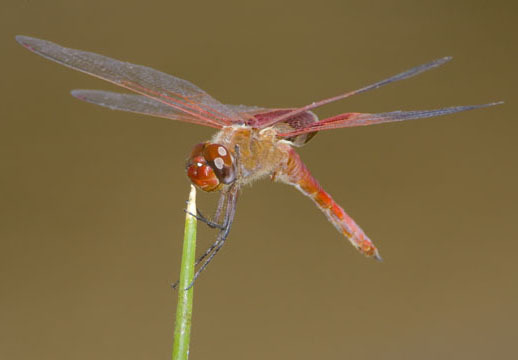 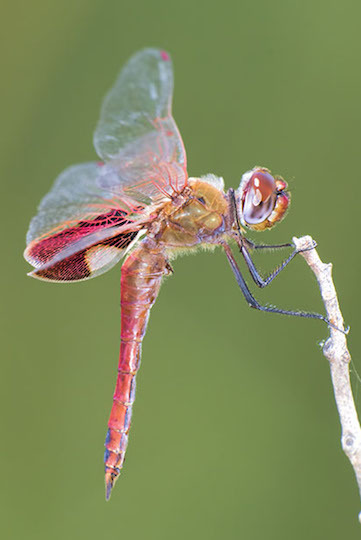 Like their close relatives the black saddlebags and striped saddlebags, the red saddlebags is a large, obvious dragonfly that perches on twigs, frequently flying up to catch prey or chase other dragonflies. 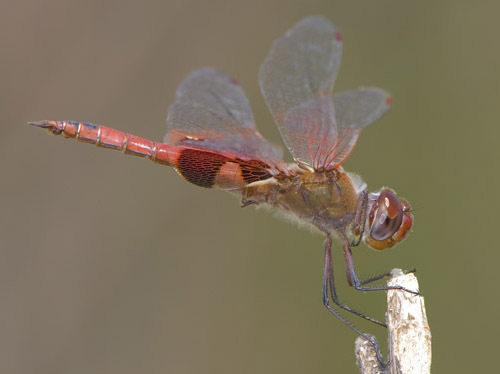 The dark patches on the hindwings make the animal look particularly large in flight. 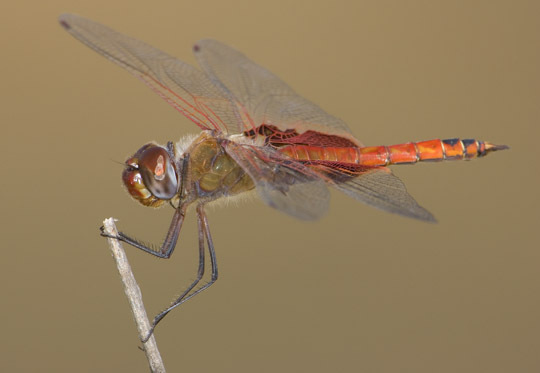 Adult males (above and bottom) are more brightly colored than females or immatures (immediately below). 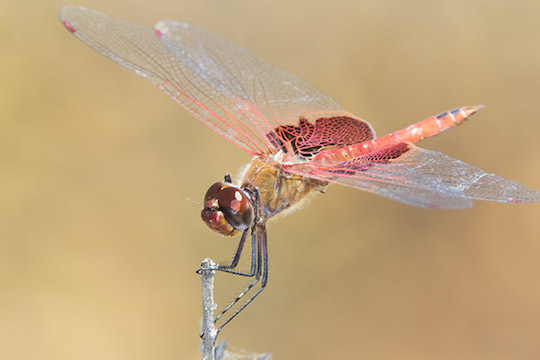 I took the pictures with a long telephoto lens on spring days (late May and mid-June) and early October at the San Jacinto Wildlife Area near Riverside, California, in nearby Joshua Tree National Park, and at the Salton Sea. 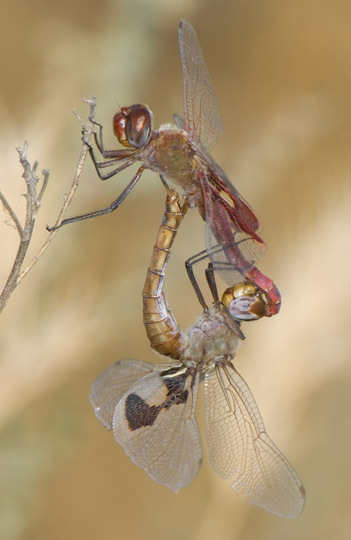 The mating pairs -- male above, female underneath -- were at the Wildlife Area and the Salton Sea.